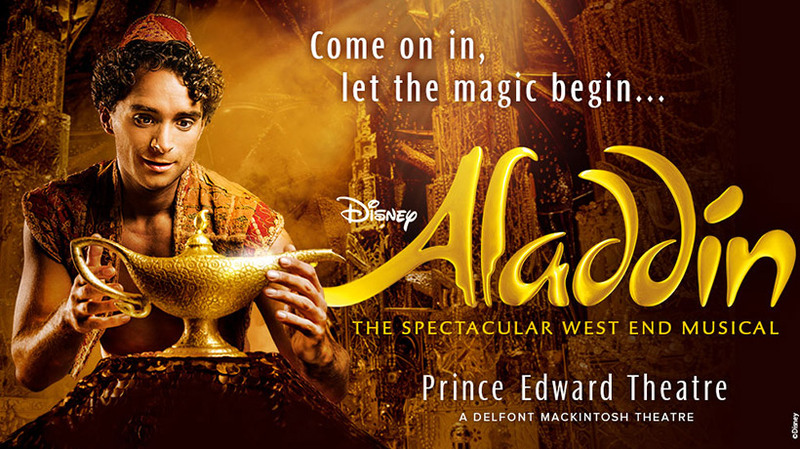 Disney&apos;s Aladdin has "landed triumphantly in London&apos;s West End" (Daily Telegraph). Featuring all the songs from the Academy Award-winning classic film, this "shining, shimmering spectacle" (Huffington Post) is everything you could wish for and more. An extraordinary creative team is led by director and choreographer, Casey Nicholaw (The Book of Mormon). Music is by Alan Menken (&apos;Beauty and the Beast&apos;) with lyrics from Howard Ashman (&apos;Beauty and the Beast&apos;), Tim Rice (The Lion King) and Chad Beguelin (&apos;Elf&apos;), who also wrote the book.